2012 Olympia - Webcast Fans choice award - who will win? 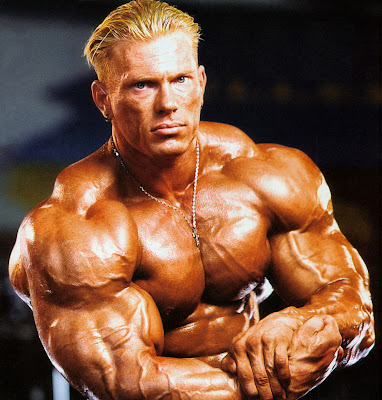 Getbig Bodybuilding, Figure and Fitness Forums > Getbig Main Boards > Gossip & Opinions (Moderators: Max_Rep, Princess L, Ron, Mr. Zimbabwe, OneMoreRep, chaos) > 2012 Olympia - Webcast Fans choice award - who will win? Great that the public sees the situation as it is. The more I have looked at the pictures (no homo!) the more dominating Kai looks. Fans choice! What channel is that on (so I can avoid it) ? Just went in myself and voted for Kai. Phil is so fat and watery this year. gotta sell it,,,looking at the pics could be one is further and new one closer but u could see his neck and face look different than last yr ,his arms look huge but detail is off and legs as well. Not so fast, my friend. Looks like he got his teeth whitened. Heath looked better last year, looking a bit blocky this time around. Will never happen Phil wins again! Almost like his 2 lower abs are atrophied or something. I will go against the odds and say they will give it to Kai, he wins the 2 back shots and the 2 side shots and 3 of the quarter turns. hope they get this right and kai greene is new mr.olympia. First thing I noticed last night was that something looked weird with his abs. Also he is holding his shoulders just a little higher in this shot which makes his lats look a little too narrow. If you look at his back DB and compare from last year gone are the striations on his triceps and some detail in his shoulders. He's def a little puffy and lacks some of the crisp detail he is known for. Even if Kai comes in sharper tonight and Phil fades, Phil will win. Re: 2012 Olympia - Webcast Fans choice award - who will win? All size aint good size. This pic says alot. It's says that's Phil has reached critical mass and the law of diminishing returns have kicked in. No more mass at this point just refinement. He needs to drop about 5-10 lbs. Hahaha. Aw man, bb is gay as hell. Kai did win the Fans Choice Award! since they didn't compete, did you see Brownie Fitness and Team Brandy Leaver at the Expo. Post the photos, dude.